It's always a delight to pick up a new Eric Arvin story. The mastery with which Arvin tells his tales sets him apart in today's literary elite. 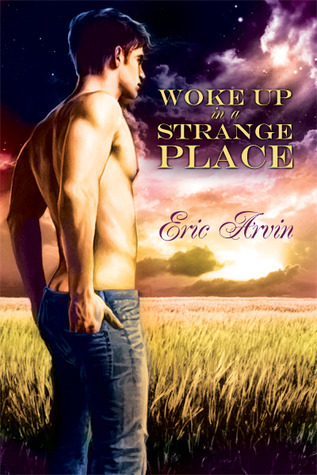 Woke Up In A Strange Place is an Arvin masterpiece. It's the story of Joe, a young man who wakes up in a barley field with no clothes, no memories, and no direction. His "soul guide" Baker appears and leads him on a journey through his life, portrayed as if through portraits he sees in his mind's eye, and somewhere in the distance is a mysterious stranger who beckons him to continue his trek even when the memories he finds leave him stricken with a desire to go no further. Joe finds the strength he needs to reclaim his life through the encouraging presence of Baker and also through his unyeilding desire to reach the stranger who's always just ahead, just a little further on. As Joe nears the end of his quest, he comes to find himself in the manner which everyone wishes to discover. Eric Arvin always weaves his magic with an almost preternatural ability. His work captivates his audience, beginning with The Rest is Illusion and continuing the spellbinding tradition right up to his latest release. Woke Up In A Strange Place reverberates with the reader long after the last word is read.